SellingRestaurants PRESENTS!! Food, Drinks and Tranquility!!!! Here it is Just What You Have Been Waiting For!! Great business, beautiful surroundings and a business where you can actually look forward to going to work, what a concept. This restaurant and bar overlooks the beautiful boat marina. Guests can enjoy a leisurely meal out on the patio or dine indoors in the quaint dinning room area. Or enjoy a freshly poured tap beer choosing from one of our 14 varieties offered everyday. If you prefer choose your favorite cocktail and let your mind wander as you gaze into the beautiful marina. Restaurant has a type 47 Liquor License. Many TV’s through out the bar area make this the perfect place to catch your favorite team as you chow down on the great eats. Live bands play on weekends making for fun place to dance and sing along in this quaint pub with the lights of the boats in harbor in background, talk about RELAXING!!!!. 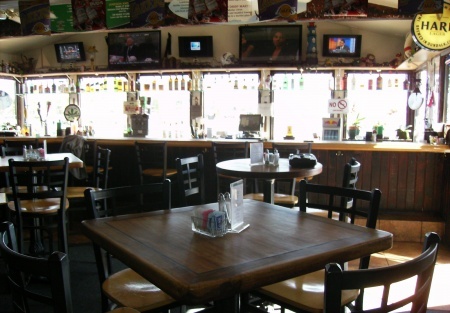 This 2800 sq ft Sports Bar and Grill has been established since 1986 and has been a favorite to the locals and a great draw for the marina boat residents. Rent is $5400 includes CAM charges for a harbor view restaurant is quite reasonable. There is a harbor tax of 3% of gross sales also. Owner looking to relocate from area so says its time to sell! The Channel Islands Harbor is a gem on the California coast between Port Hueneme and Ventura. It was built as a recreational harbor in the 1960s and 1970s on 310 acres of land and water, with approximately 2,150 boat slips, as well as marina facilities, restaurants, sportfishing facilities and shops. To get further information please go to the red tab on left “Get Name and Address” to get more information, pictures and address.